Jordanna is an experienced commercial litigator. She is a results-oriented individual who brings strategic thinking and practical problem-solving to all her files. She regularly represents clients before all levels of court, administrative tribunals and arbitration. Jordanna also leads Whitelaw Twining’s Employment Law Group. 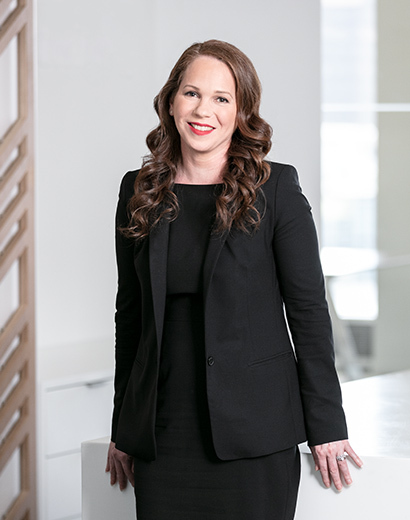 Prior to joining Whitelaw Twining, Jordanna was a partner at a leading national Canadian law firm. Representing and advising private sector clients such as developers, owners of land, shopping malls and strata corporations in development matters, contract disputes, leasing matters, property transfer tax disputes and municipal law issues. Representing individuals and corporations in connection with contract disputes, trust claims, defamation claims, civil fraud, shareholder disputes, governance issues, as well as complex multi-party litigation. Representing parties to distribution contracts and franchise agreements in connection with claims for breach of contract, wrongful termination and successfully obtaining and defending injunction applications. Representing parties before administrative tribunals and on judicial review. Representing employers in wrongful dismissal claims, human rights complaints and other employment related litigation such as disability insurance litigation, privacy, departing employee cases and competitive loss claims. Representing clients in the private and public sectors in connection with a variety of construction disputes, including in relation to real estate development, the energy sector and infrastructure projects, procurement issues, surety claims and regulatory matters. Jordanna was also recently appointed as an adjudicator for the British Columbia Civil Resolution Tribunal. Jordanna regularly contributes to various law publications and is a frequent presenter on a variety of corporate, commercial, real estate and employment topics for the Canadian Bar Association, Trial Lawyers Association of BC, PBLI, the Vancouver Leasing Conference, the Continuing Legal Education Society of British Columbia, CREW and for clients. Outside of the office, Jordanna enjoys exploring the great outdoors with her young family. She is also a budding oenophile and amateur chef. Jordanna is the co-author of the Real Estate chapter for Annual Review of Law and Practice and the Collapsing Deal chapter of the British Columbia Real Estate Practice Manual.